South Lake, like many other suburbs east of Bibra Lake, was part of the Jandakot Agricultural Area. Parcels of land in the fertile, swampy district were offered for sale by the government in 1890 to encourage new farmers and market gardeners into the area to produce food for a rapidly growing colony. As early as 1887 settlers had been taking up land in the South Lake area. Brothers Thomas and Anham Briggs held Lots 191 and 192, most of the land fronting onto Forrest Rd (now North Lake Rd). Their fruit and vegetable business became one of the best-known in the district and they went on to serve on the Fremantle Roads Board. sell on. Robert Semple's Lot 155 was right beside him. Several of these early settlers are immortalised in the street names around South Lake now. 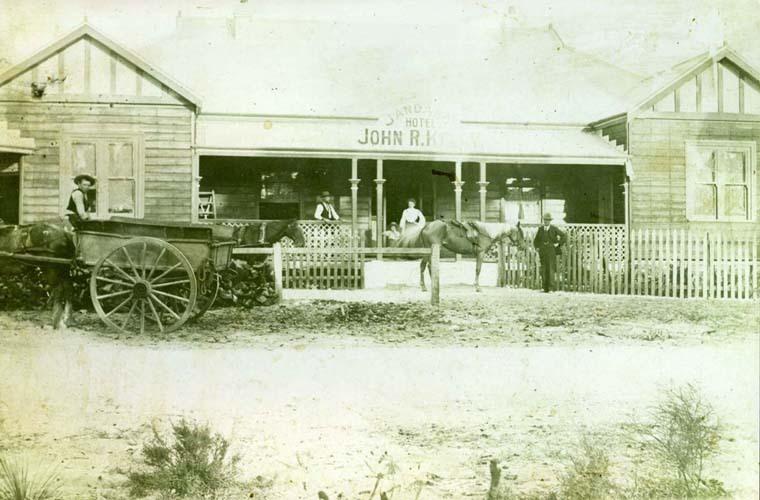 Modern-day South Lake is home to the two centres of old Jandakot social life: the Jandakot Hall in Anning Park, which was originally built in 1897 as the Jandakot Agricultural Hall, and at the northern border with Bibra Lake, the old Jandakot Hotel on Prout Way. Both were popular places for meeting and socialising in a community isolated by distance and bad roads from Fremantle. The area remained rural farmland for nearly a century, until in 1981 developers began to clear the northern end for suburban housing. One of the property developers suggested the name South Lake for the new suburb, which was approved in August 1982, and South Lake was officially separated from the suburb of Jandakot. The South Lake Leisure Centre was opened in February 1992, the $6 million project being first recreation centre for the City of Cockburn. Later the same year the Kwinana Freeway was extended to Yangebup Rd, which was realigned and renamed Beeliar Drive.